The garage for many people can become a dumping ground for tools, sports equipment, holiday decorations, and other general household clutter. With proper organizational systems, however, your garage can become an efficient, organized powerhouse for working or storing. Slate Wall creates a perfect staging ground for garage hooks, racks, baskets, and organizers. These Coco garage cabinets add a bit of warmth and color to this gray toned garage. 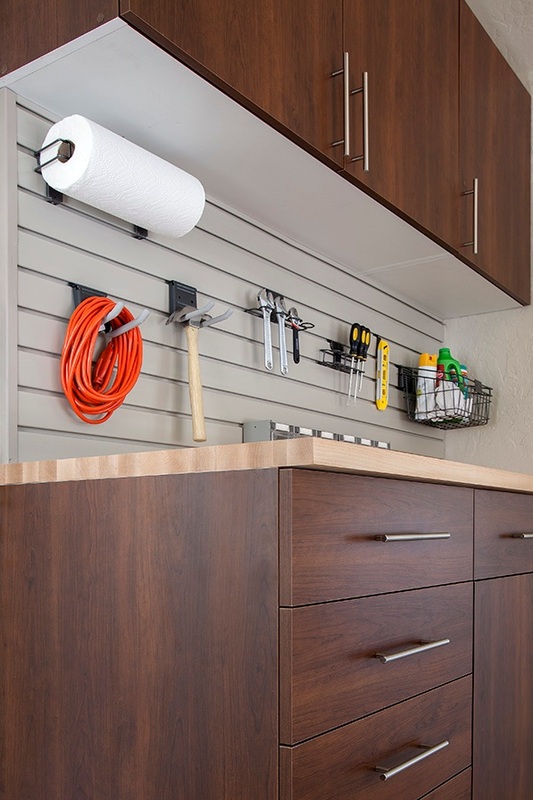 Garage cabinetry is key in designing functional and organized work counters and stations.